How does glucose help a cell? When sugar is produced in photosynthesis plant cells use some of the sugar for food. The cells break down the sugar molecules to release the energy they contain. This energy can be used to carry out the plants functions. 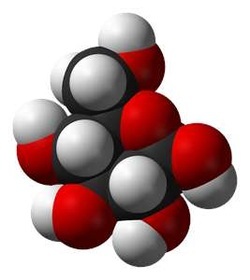 Some sugar molecules are converted into other compounds, such as cellulose. Cellulose is an organic compound made up of glucose. Other sugar molecules may be stored in the plant’s cells for later use. When you eat food such as potatoes or carrots, you are eating this stored energy.